Where to Buy Triple Superphosphate 0-45-0, Triple Super Phosphate 0-40-0 Bulb Booster - 5 Lb - $16.95 for Sale with Fast Free Shipping! 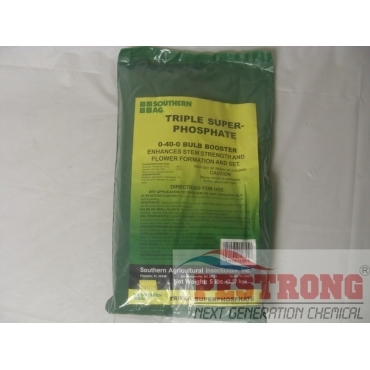 Triple Super Phosphate 0-40-0 Bulb Booster - 5 Lb is granular grade phosphate fertilizer that offers enhances stem strength and flower formation and set. PROVIDES: Phosphorous for increased rooting and blooming. Bought this based on what I need for my flowers. Great price with fast shipping. I got this way sooner than I was expecting. I've already applied it. Hope to see the results soon.